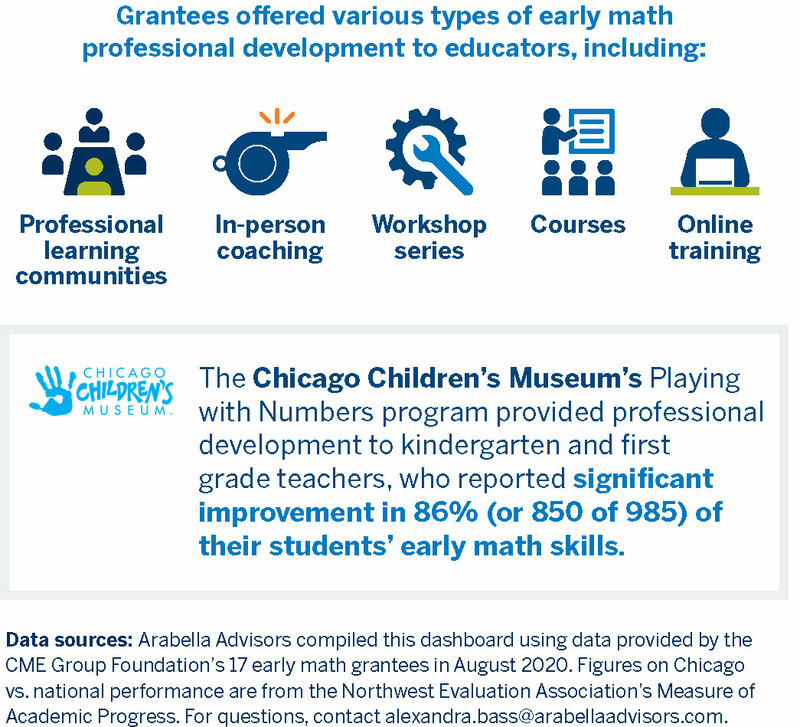 CME Group Foundation helps today’s students keep pace with dramatically evolving technology, creating a workforce for the future that is equipped with the skills to meet tomorrow’s global challenges. 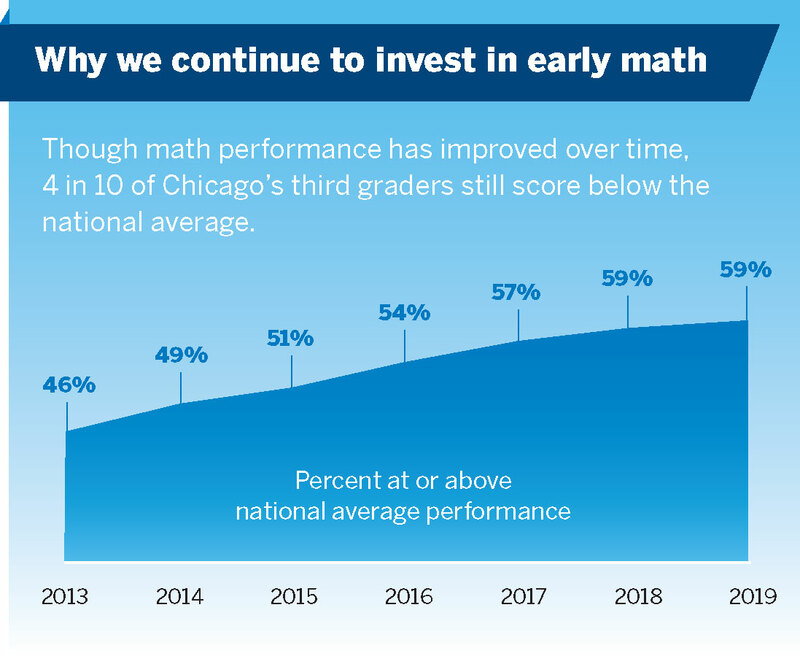 By bringing together the brightest minds in education to generate fresh approaches to math, computer science and personalized learning, we are sparking system-wide change that benefits all students, from cradle to career. They will shape the future of the world’s most important industries, including our own, so we give them the tools they need to achieve their full potential. 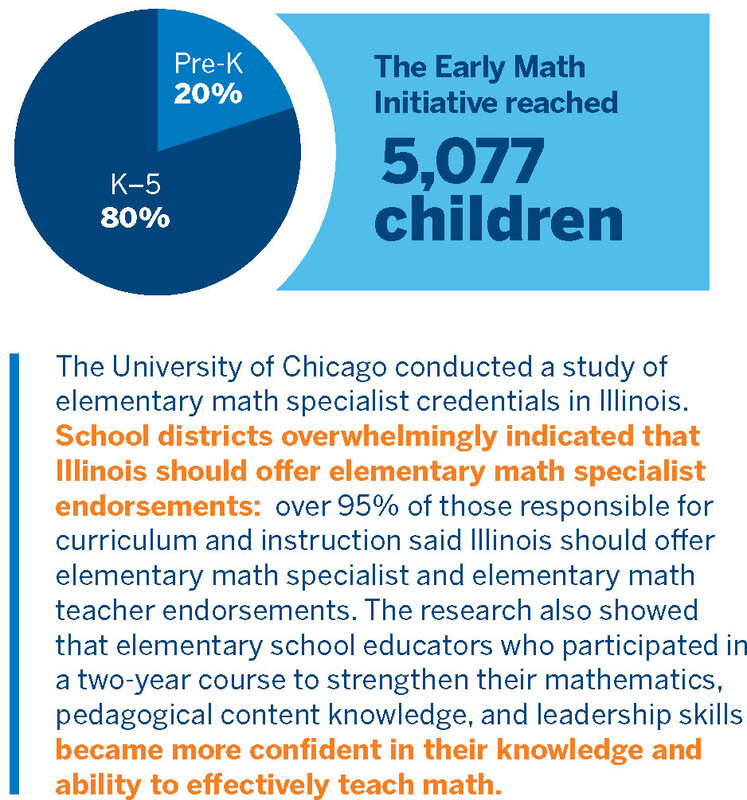 The Early Math Education Initiative was launched in 2010 to help young children from low-income Illinois communities become proficient in math at the appropriate grade or developmental level. 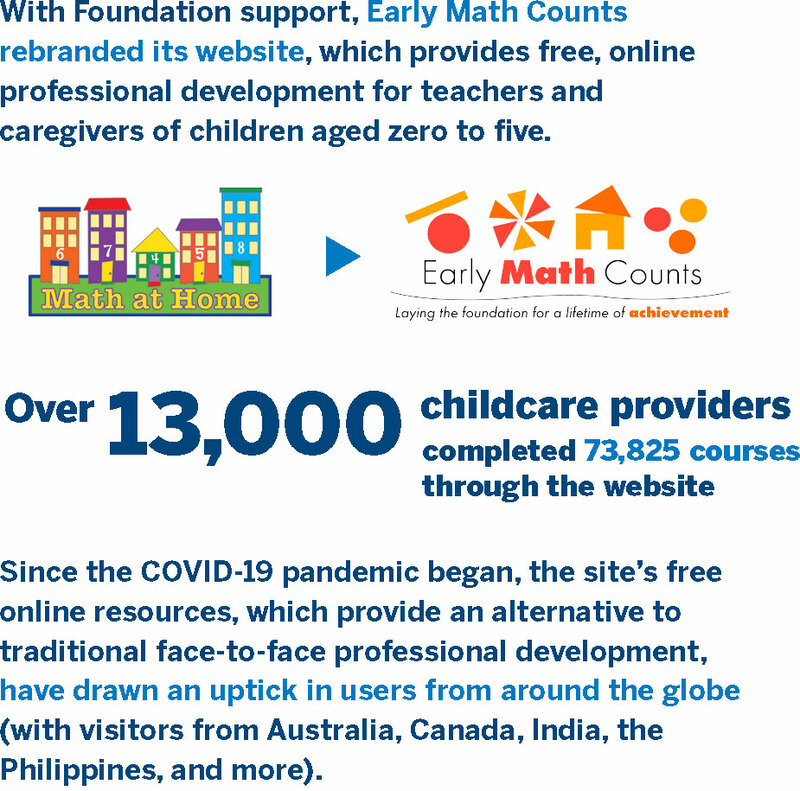 The initiative creates a timeline of best practices from birth through third grade to help teachers and caregivers provide the needed development. We encourage our grantees to collaborate with others to enhance learning and share best practices. The Foundation helps to prepare K-12 students for success in college and careers through the use of technology to personalize learning and computer science education. 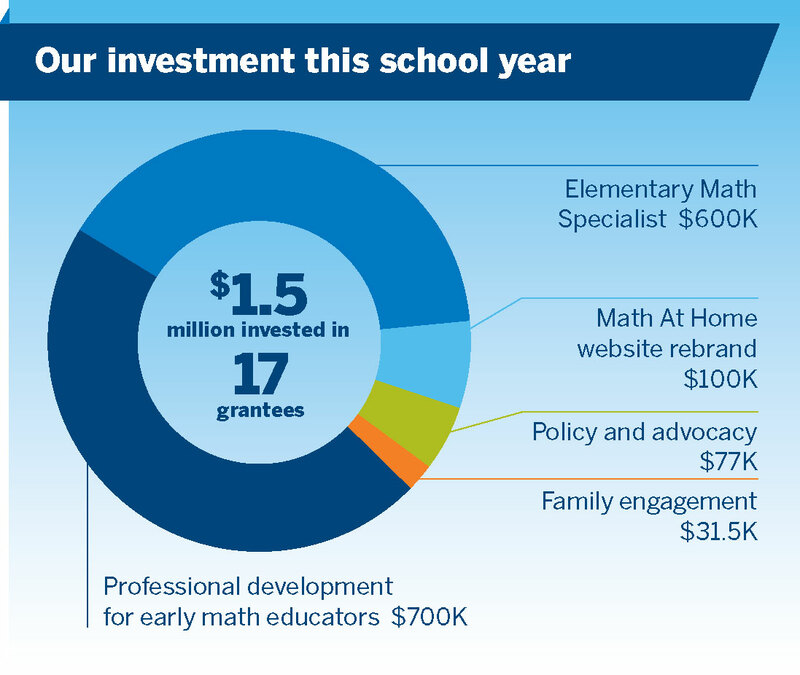 CME Group Foundation is the largest private funder of Chicago Public Schools’ Computer Science 4 All (CS4All) initiative. The Foundation is pleased to support several other organizations providing research and data analysis for CS4All. 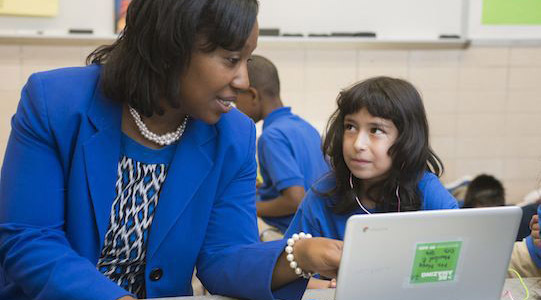 In addition to K-12 computer science education, the Foundation supports professional development for school leaders and teachers on improving student outcomes through using technology to personalize learning. In 2016, the Foundation began to focus on preparing first generation, low-income and under-represented minority students for careers in financial services. We created the CME Group Foundation Scholars program to work with universities that provide evidence-based support programs for this group of students majoring in finance, computer science or applied mathematics. We partner with recruitment to help these scholars apply for summer internships at CME Group. CME Group Foundation believes that undergraduate students preparing for careers in financial services industries need well-developed quantitative skills and an understanding of the futures and derivatives field and its uses in risk management. The Foundation also believes that computer science students preparing for careers in financial services need coursework in this area, too. The Foundation supports university professors to create open access curriculum on futures and their use in risk management. We also occasionally support research, publications and conferences on futures and exchange-traded derivatives.